With this in mind, architects need to understand the basics of daylighting in buildings in order to maximize the benefits associated with access to natural daylight and outdoor views while simultaneously accounting for the trade-offs, which include glare and thermal discomfort. 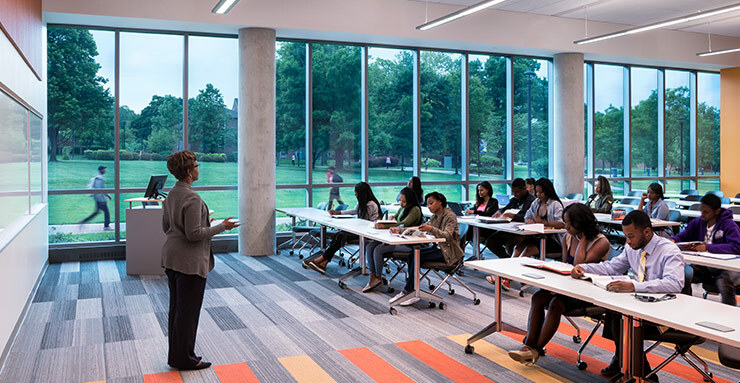 To provide insight into this topic, we’ve developed the following on-demand accredited continuing education webinar to serve as a primer on daylighting design in buildings and how dynamic glazing can enhance the occupant experience. 2 The Center for Health Design (2006): The Impact of Light on Outcomes in Healthcare Settings: https://www.healthdesign.org/sites/default/files/CHD_Issue_Paper2.pdf.